In my continued infatuation with Spanish wines I bring you truly one of the easiest drinking, but complex wines you wil ever try. #Baronia Florida dEnglora. A lovely wine from Montsant, named for the mountain top. It carries a bold dark ruby color. Enticing and mesmerizing like the gem it is named for. Open the bottle and just stand back for 15 minutes or so. The aroma of fresh violets and roses fill the room. These are accompanied by aromas of fresh brewed coffee and kitchen spices. Already you are in your comfort zone. Taking the glass to your lips, the anticipation of what is to come is almost unbearable. The color, the bouquet have all combined to entangle your senses. And truly the juice does not disappoint. The fresh rich flavor of the fruit coats your tongue making your mouth water uncontrollably. The cherry and plum are the first noticed. Then the light note of coffee and chocolate finished off by cinnamon and pepper. This party in your mouth is both exciting and comforting at the same time. This is a wine you will serve to any wine geek and they will think you paid a fortune for it. Just keep it our secret. Last week we went to a BYOB in Lahaska. A new place called Calebs. The place features All American style cuisine farm to table. I chose La Conreria a Priorat as the wine for the night. For starters we had the crab tacos with sirachi and jalepenos. The taco was crisp, the crab was delicious withe the added spice it was amazing. There was a burn but oh was it a good burn. Next was the goat cheese and beet salad. The sweet savory mix with the spice of the arugula–I can do this all day. Of course I had the ribeye, but was torn between that and the duck. The steak was aged 28 days and cooked perfectly. Tender, juicy and flavorful. I made the right choice. The wine, La Conreria, was absolutely amazing. Big bold and fruity, the deep dark rich color begging to be drank. The fruit jumping from the bottle gave the whole room a warm floral bouquet aroma. Oh and I haven’t even had any yet. Smooth, silky, velvet. Blueberry, plum, cedar to start then finishes with chocolate and spice. A long-long finish. Yea I will be having this one again. A great night of food and drink. I have to say Spanish wines are becoming my favorites. In a short period of time they have progressed so far. While other wine regions are stagnant or progressing slowly, Spain is moving forward rapidly. Speaking of progress and change, the Montsant region is one. A recently established DO, 2001, with only about 57 wineries. And my I add producing some robust wines. Tonight I am talking about Can Blau. Oh damn so good. The nose is very floral, lavendar, violet all of those dark floral notes. The juice is luscious. A complex blend of Mazuelo, Syrah and Garnacha. WOW, what an effect. A beautifully gorgeous full bodied wine. Notes of dark berries, black pepper and spices. This is a spectacular example of Spain. Robust, full bodied and rich. I am not sure if Penelope Cruz is from Spain, but oh my God this would be her wine. Can you see the beauty. Pretty label and all. 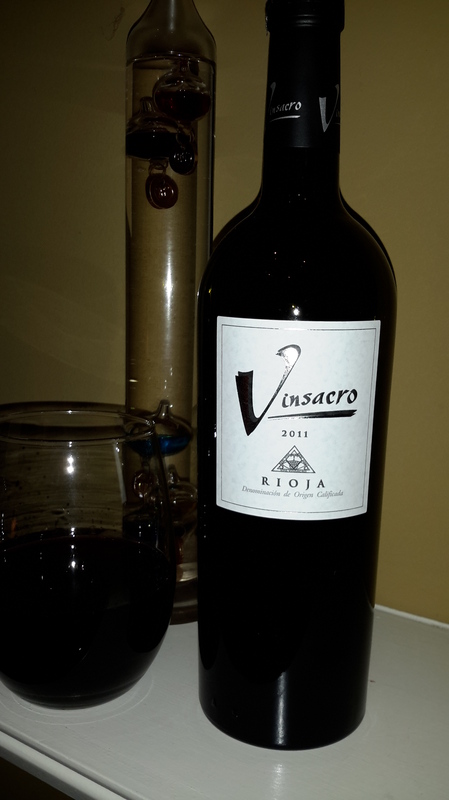 My love of Spanish wines continues.Today it is Vinsacro Cosecha (Valsacro) another wine from the Rioja region, and another must try. Cosecha, (I had to look it up) means to harvest, gather or cultivate. So taking it from there, you get the idea that this wine is a gathering of grapes, cultivated and harvested, then brought together, to form this outstanding art to drink. Yes, I think of wine as an art form. Just like food is an art, or the ability to do so, food and wine are the final product of artists-hence artisans. This purple colored wine is aged in oak for 16 months. A blend of Tempranillo, Grenache and Mazuelo. 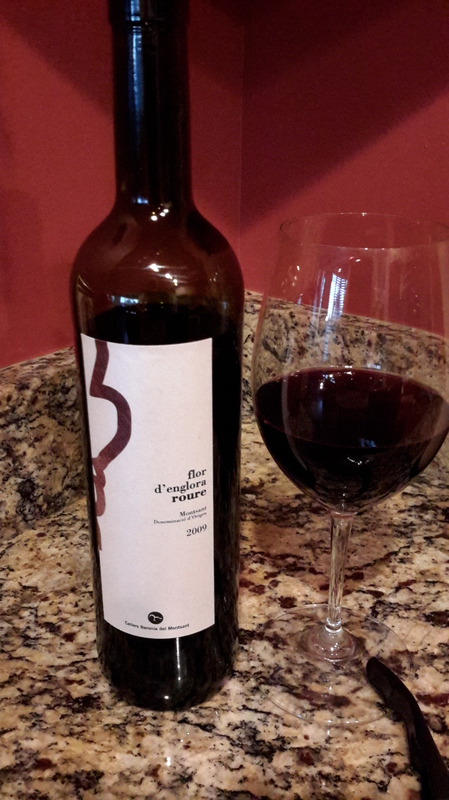 The nose has a wonderful fresh bouquet featuring violets, roses, hints of cedar and tobacco. On the tongue the wine confuses you with so many different flavors bouncing throughout. Juicy, may be an overused term… but it does describe the feel of this wine in the mouth. Dark cherry, plum, blackberry, that cedar again. Spice notes; pepper and cinnamon produce a medium finish. There are tannins but not too over productive to drink alone, though it would go great with cheese or roast. 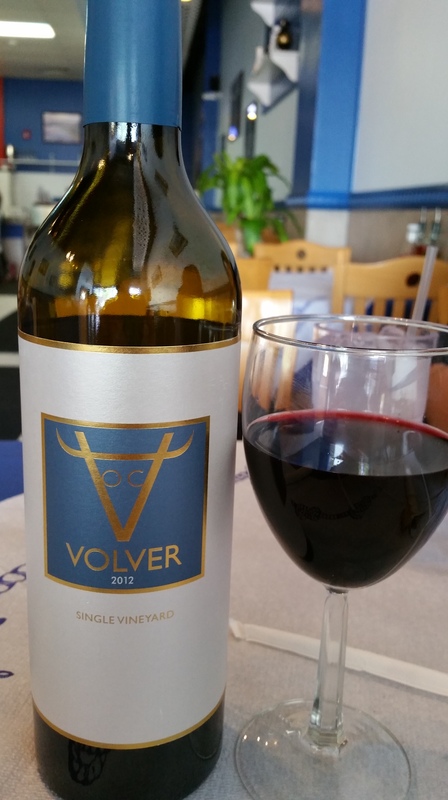 The wine is easy drinking, friendly, approachable, call it what you want…it is very good. Structured and elegant – more of a medium body stand alone. Definitely a wine that could lay for awhile. Tempranillo, you gotta love it. Another great wine from the Bodegas Franco Espanolas. This is a fabulous wine…say it again…this is a fabulous wine. 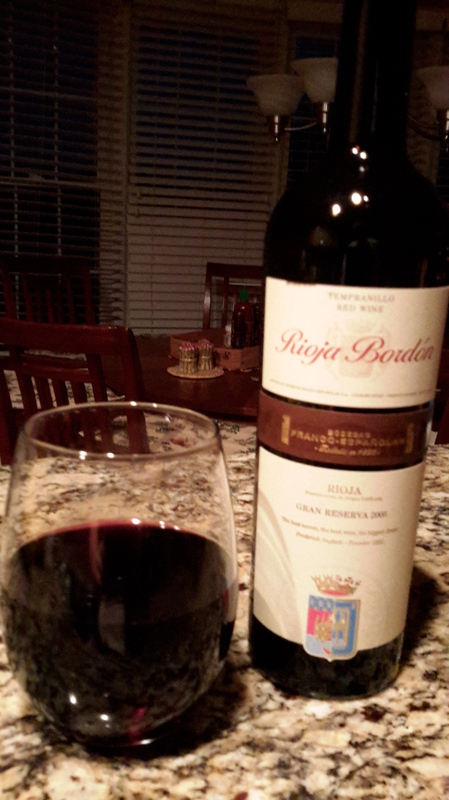 Rioja is Spain’s oldest DO. 2005 was one of the best vintages. Tempranillo- a black grape used to make full bodied red wines. Now combine these together with w knowledgeable wine maker and you have perfection. Have you ever seen a red diamond? The wine in this glass looks like a blood red diamond. Deep dark color with a shimmering sparkle. The rich elegance provides a tell of things to come. The wine in your mouth is succulent, mouthwatering, rich and bold. The juicy contents erupt with the red berry flavors. Black cherry, plum, hints of tobacco, chocolate and a sweetness of vanilla. Hints of oak coming from three years of aging. Fruit going all the way through. Soft silky tannins providing just enough pucker to know a nice piece of cheese is called for. Balanced, structured and all there. This wine is 80% tempranillo, 10% grenache, 5% mazuelo and 5% graciano. look like a perfect combination.